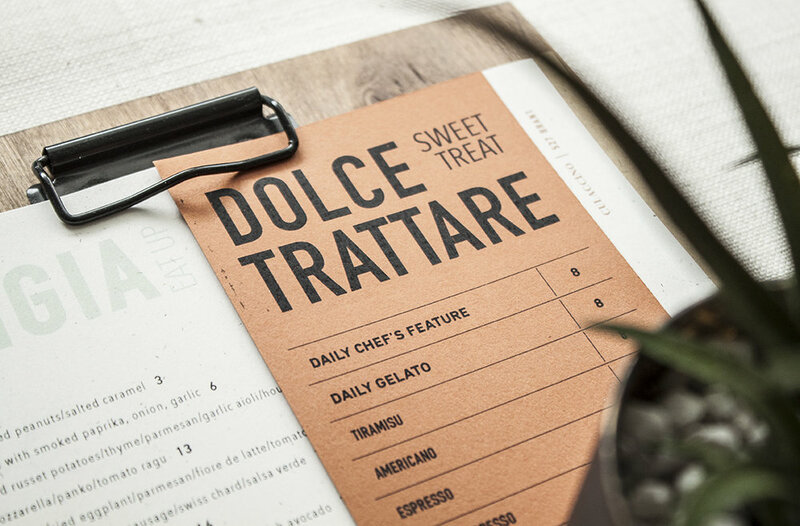 Bringing out the rustic wood textures and bold jewel tones of the restaurant, these clipboard menus are a natural fit. 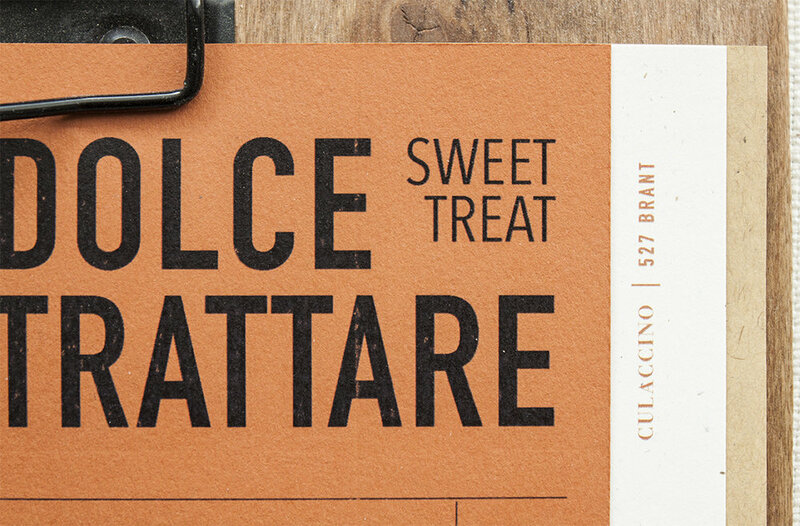 We selected three complementary paper stocks for food, drink, and dessert menus. For full functionality, each piece can be easily removed from our custom wood clipboards. The resulting combination is modern, sophisticated and exciting. Bon appetit!